Look what The New Yorker dragged in: a haughtily superior companion volume to The Big New Yorker Book of Dogs, this time celebrating the feline side of the domestic pet equation. Aloof, self-assured, enigmatic, prone to napping, cats have been a major theme throughout The New Yorker's history. 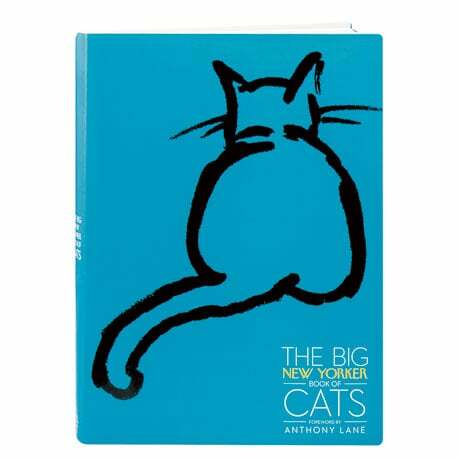 So it follows that this treasury of cat-related fiction, poetry, essays, magazine covers, and (of course) cartoons would be a rich one, with contributions by Margaret Atwood, T.C. Boyle, Roald Dahl, Wolcott Gibbs, Robert Graves, Emily Hahn, Ted Hughes, Jamaica Kincaid, Steven Millhauser, Haruki Murakami, Amy Ozols, Robert Pinsky, Jean Rhys, James Thurber, John Updike, and E.B. White.